Beginnings are important. Especially when it comes to the story of God, of us, and of our redemption. 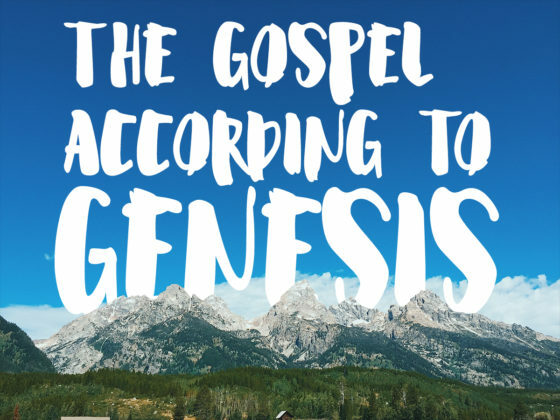 The foundation stories of Genesis set the stage of the drama of Scripture in many ways. First, we are introduced to our Creator and King. Second, we are introduced to the problem that fractured the relationship – our sin.Third, in contrast to the continual disobedience of humanity, God reveals the depth of his grace and love. Though all human beings bear the scars of the sin of Adam and Eve, the Lord continues in his everlasting grace to work out his purposes. Next, God called frail humans to represent him: Noah, Abraham, Isaac, Jacob, and Joseph. Each of these men was profoundly flawed, a point to which the Bible gives ample testimony. Yet God gave them grace upon grace, keeping his promise, at whatever cost, to bless them and through them to bless all humanity. Join us, as we explore this book of beautiful beginnings, with our eyes cast towards the glorious end! given on Feb 25, 2018.
given on Feb 18, 2018.
given on Feb 11, 2018.
given on Jan 28, 2018.
given on Jan 21, 2018.
given on Jan 07, 2018.
given on Sep 03, 2017.
given on Aug 27, 2017.
given on Aug 20, 2017.
given on Aug 13, 2017.
given on Aug 06, 2017.